My husband isn’t really into pens, but he was a great sport at the DC Supershow and even tracked down a great deal on some Retro 1951 pens. Pen Boutique had a 50% off deal running on all of their Retros so a purchase or two was a no-brainer. Their selection wasn’t huge (wish that they had the Ace Tornado, but alas, they did not), but I still managed to walk away with the Limited Edition Numbers Tornado as well as a pair of ballpoints- an Original Vintage Mickey Deluxe (Jubilee model) and a Harley-Davidson Hex-Pathfinder. I own a number of Tornado rollerballs (soooo collectible! ), but no ballpoints, and while I loved the look of these pens, I had my doubts that the refill would be anything but average. A bit of scribbling at the Pen Boutique table instantly erased those doubts. The Retro 1951 branded Easy Flow 9000 refill (probably a Schmidt) is dark and super smooth. At 1.0 mm, it IS fairly broad, but it’s so crazy smooth, that I don’t mind the thicker line. 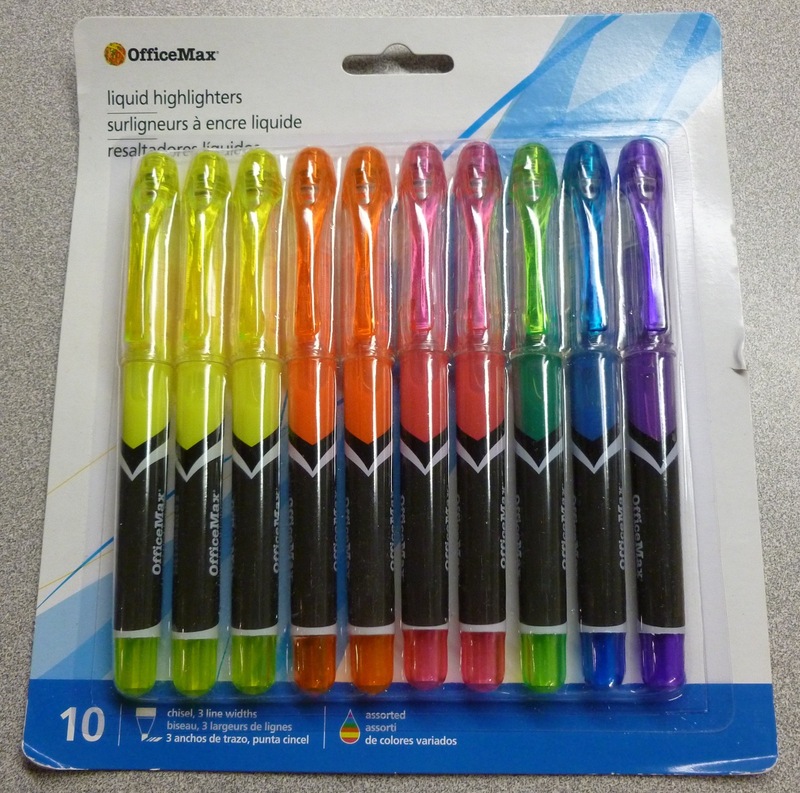 In fact, THESE are the new pens that have nudged their way into my daily carry since I’m back home and back at work. 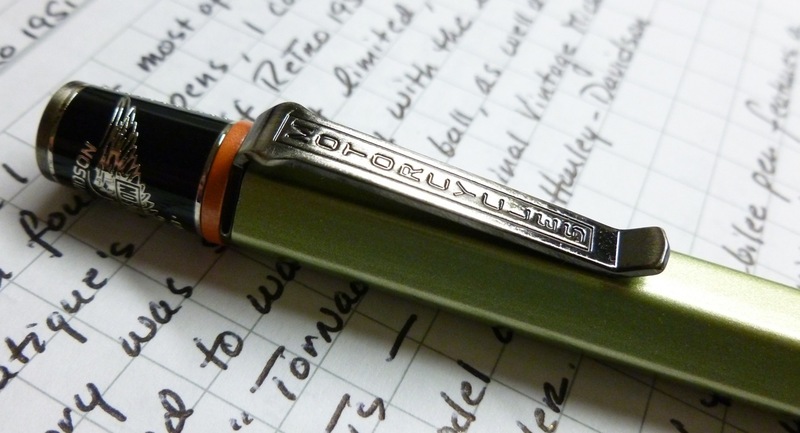 So we have a great writing refill coupled with Retro 1951’s flair for cool design. 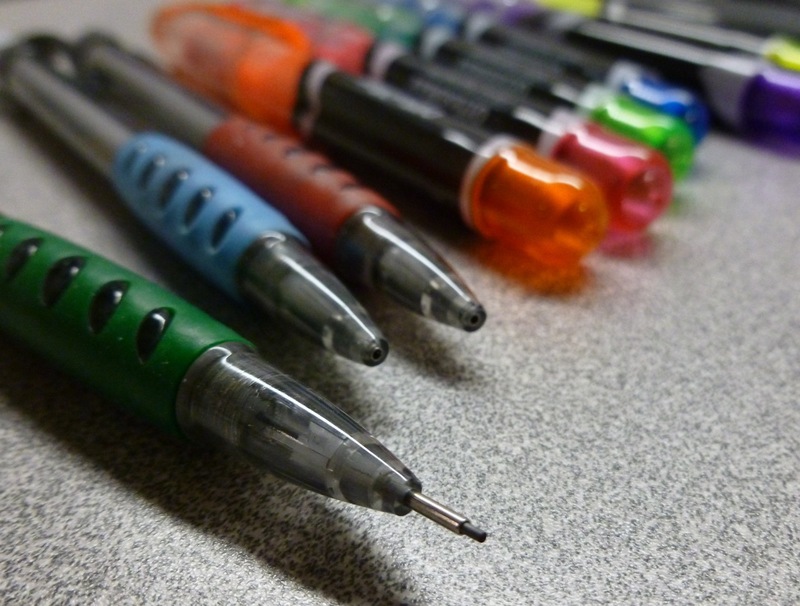 There’s so much fun and quality packed into these pens that they’re impossible to resist. 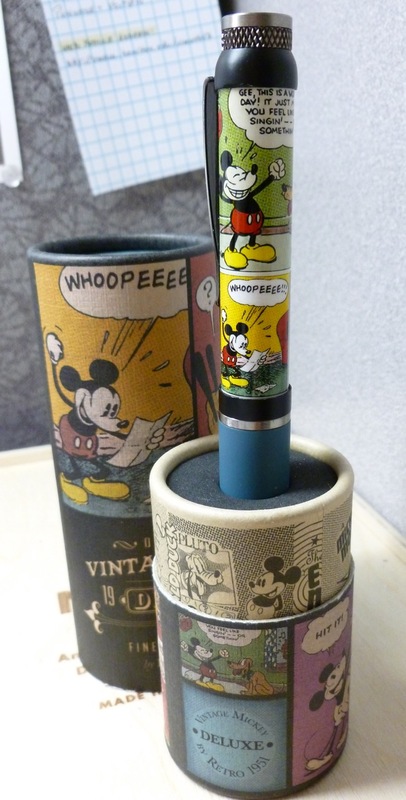 While the Harley-Davidson pen is simply boxed (possibly a missed opportunity there), the Vintage Mickey tube would look at home in an antique shop. Covered with classic comics featuring Mickey Mouse, Minnie Mouse, Donald Duck, and Pluto, the packaging and pen can’t help but make you smile. It’s a fun mood booster. 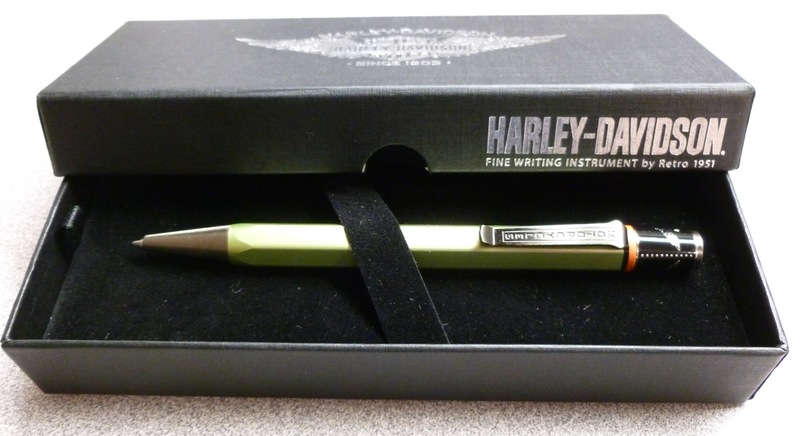 While I’m not really a Harley fan, I love the sage green hex barrel on the H-D pen, and the branding is not at all in-your-face. Both pens are twist action. 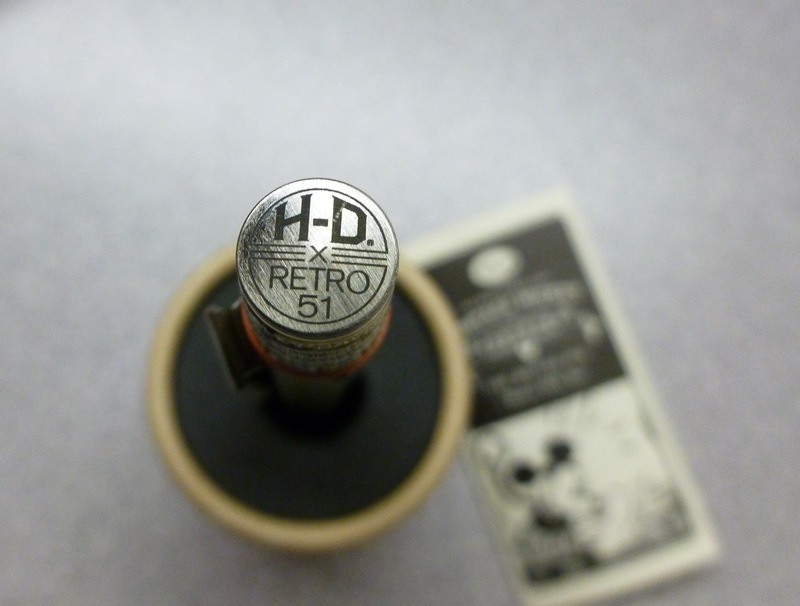 The tip of the Harley-Davidson pen is extended by twisting the H-D branded end cap, while the Vintage Mickey twists at the pen’s center band. 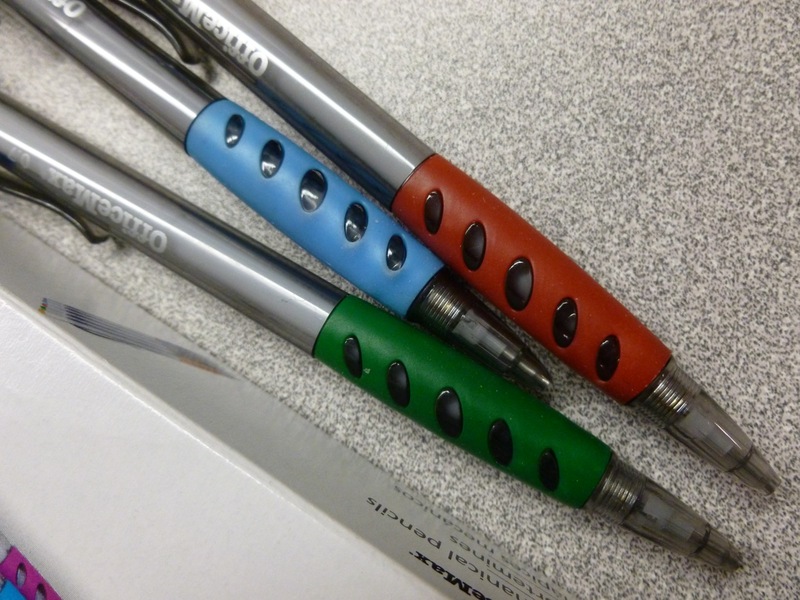 Both feature distinctive clips that integrate perfectly with the look and theme of each pen. 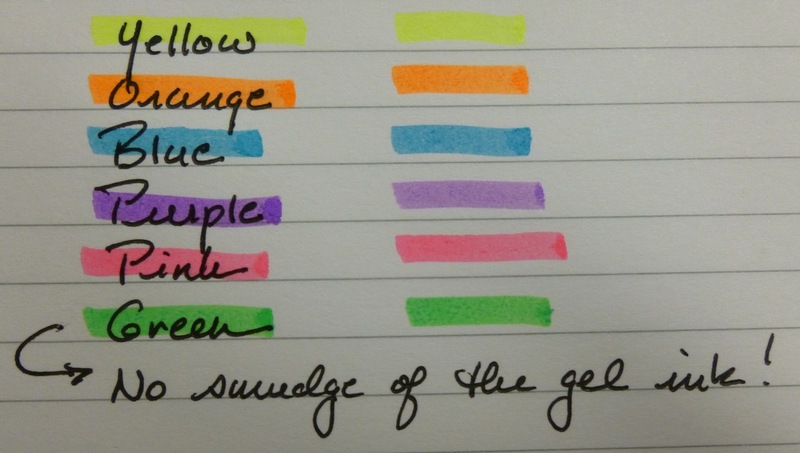 It should be noted that the refills DO sometimes “click” a bit when the pens are held in a certain position. I can tone this down by making sure that the pen clip points away from my hand. Not sure why this helps, but it does. Also, the refills are so glassy smooth that I feel like my handwriting suffers a bit. It’s as if the pen gets away from me a little. 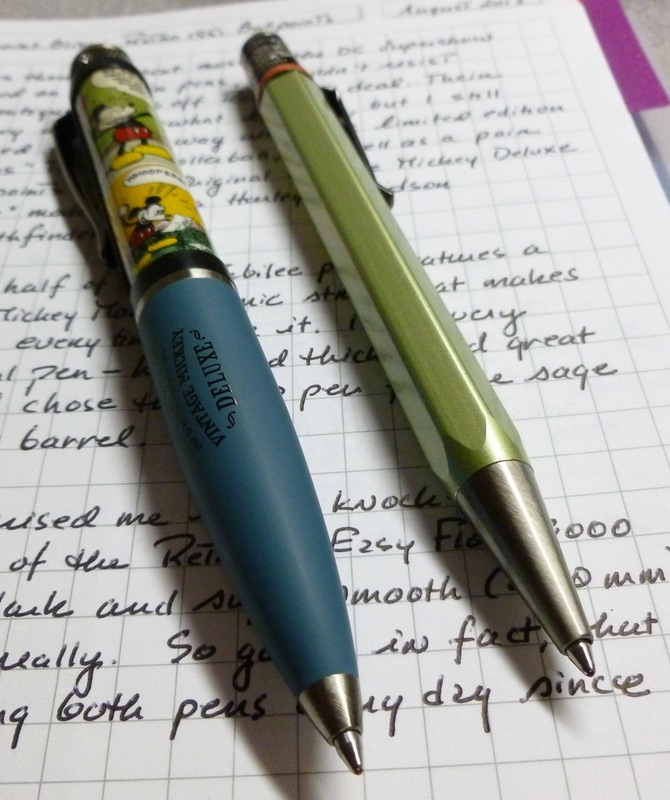 The Vintage Mickey pen is quite wide and hefty, so it’s possible to feel a bit of hand fatigue during long writing sessions. Despite these quirks, I’m very pleased with both of these pens, and I’m grateful that Fred tracked them down in the vast sea of pens at the pen show. Super deal. 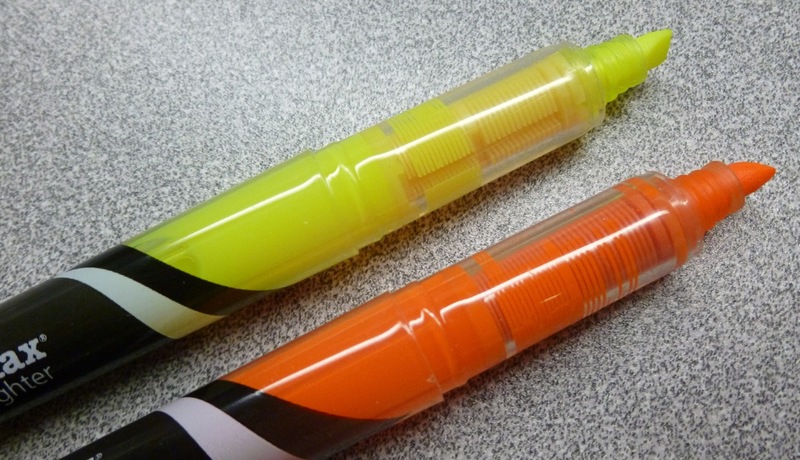 Super pens. August has been a bit of a whirlwind. First a conference, then a bit of vacation that included the DC Fountain Pen Supershow. (What a blast that was!) My posting/life/work routine was blown out of the water, but I’m back now and looking forward to writing about the show and the handful of pens that I picked up. 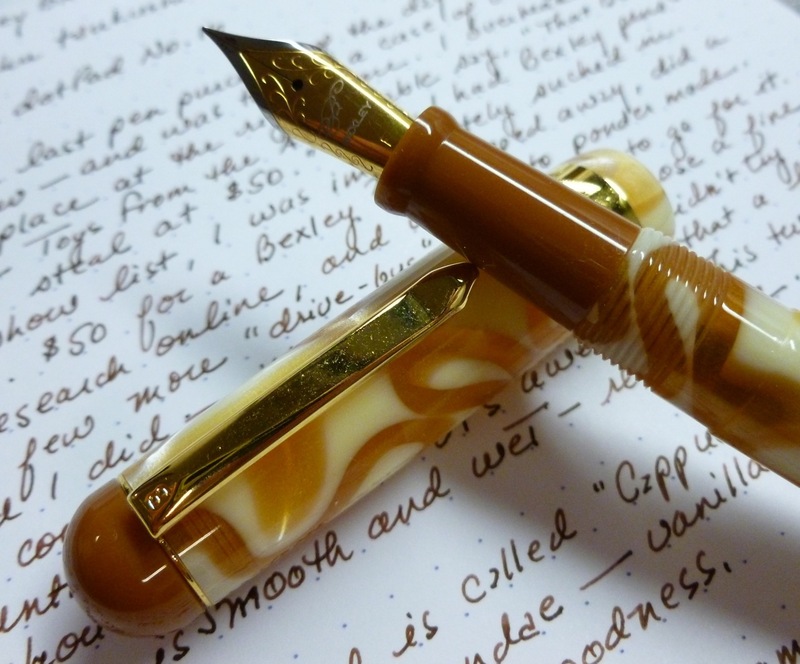 Let’s start with the LAST pen I picked up at the show- a Bexley BX802 Cappuccino (F nib). I circled through the show a few more times mulling over the Bexley the whole time. 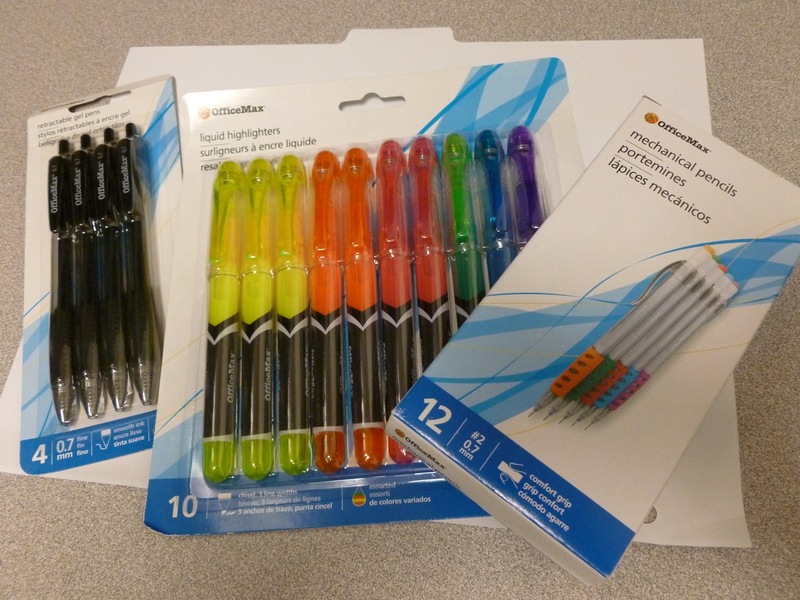 A quick online search confirmed that the price was indeed a good one, and so I made my move, encouraged by my new pen friend, Tracy, who said that she’d heard good things about the vendor. I had my choice of a fine, medium, or broad nib, and choose the fine (shocker, I know). What nagged at me a little bit, as I walked away with my purchase, was that I hadn’t WRITTEN with the pen. What if the nib was a dud? Oh, the suspense! 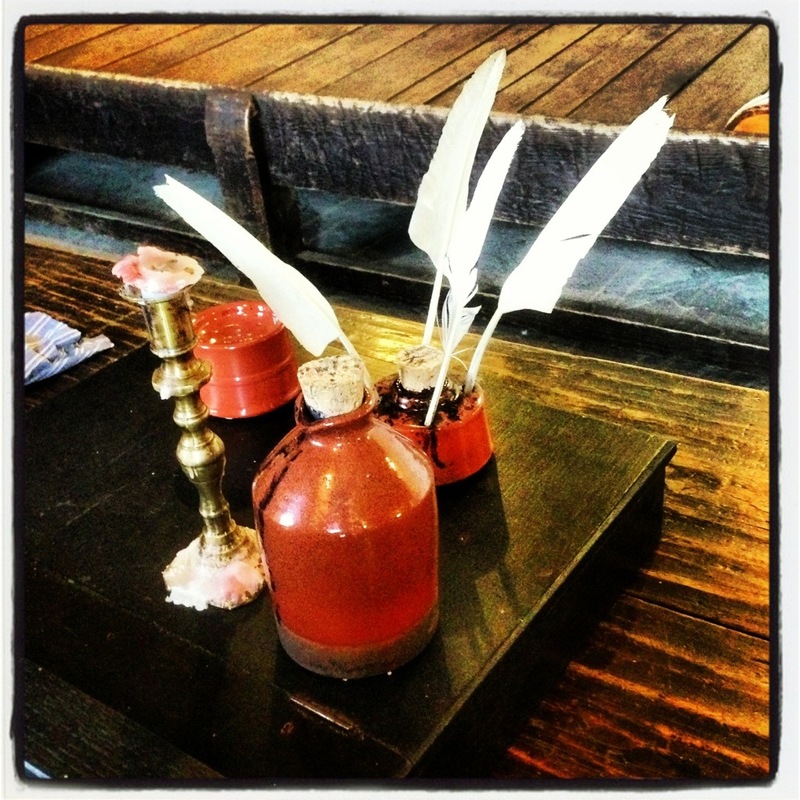 How will you write?? It was another 48 hours before I’d know the answer. As soon as we unpacked the car, I grabbed my new bottle of Iroshizuku tsukushi (“Horsetail”) and inked up the Bexley. A few scribbles later, a big exhale of relief. This pen is an excellent writer. The fine nib performs exactly as I’d hoped- smooth and wet and fine enough for everyday writing- a wonderful combination of nib attributes. 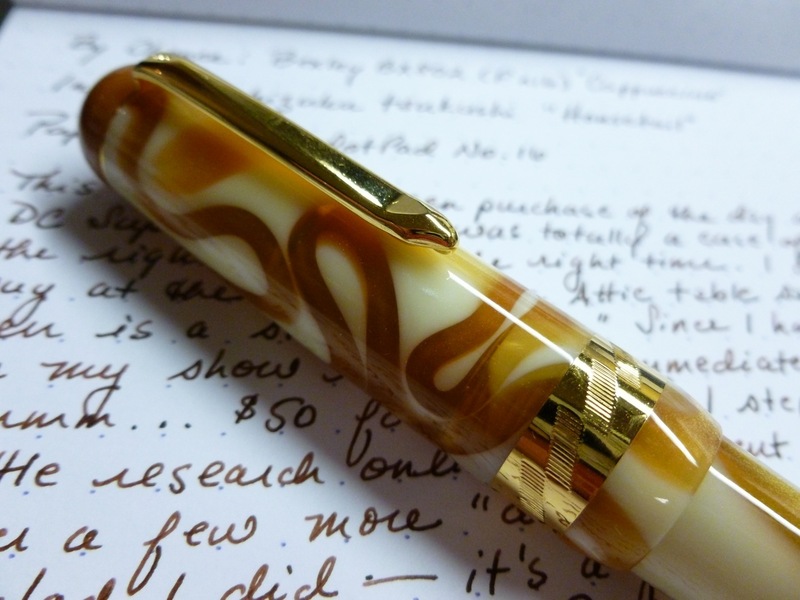 To be honest, the look of the pen didn’t immediately grab me, but once it dawned on me that the acrylic looks JUST LIKE A CARAMEL SUNDAE (my favorite! ), I was hooked. The caramelly swirls are somewhat translucent so it’s possible to catch a glimpse of the converter and ink inside- kind of cool. The clip is firmly springy, and the chase pattern on the cap’s band adds a bit of interest. I don’t normally go for gold-tone accents, but in this case, they look just right. It’s a look that’s grown on me. The pen’s dimensions fit my hand nicely. Capped it measures 5-1/4″, while uncapped/unposted it measures 5″, a length that’s perfectly usable for me. With the cap posted, the pen measures 6″ give or take a hair. The cap posts securely and doesn’t throw off the pen’s balance at all so I’m equally happy using it posted as I am unposted. By my unscientific measurements, this Bexley weighs around 20 grams so it’s a lightweight– but NOT in the performance department. In the dizzying environment of the DC Fountain Pen Supershow, I’m glad I happened upon the chance conversation that led me to this pen. 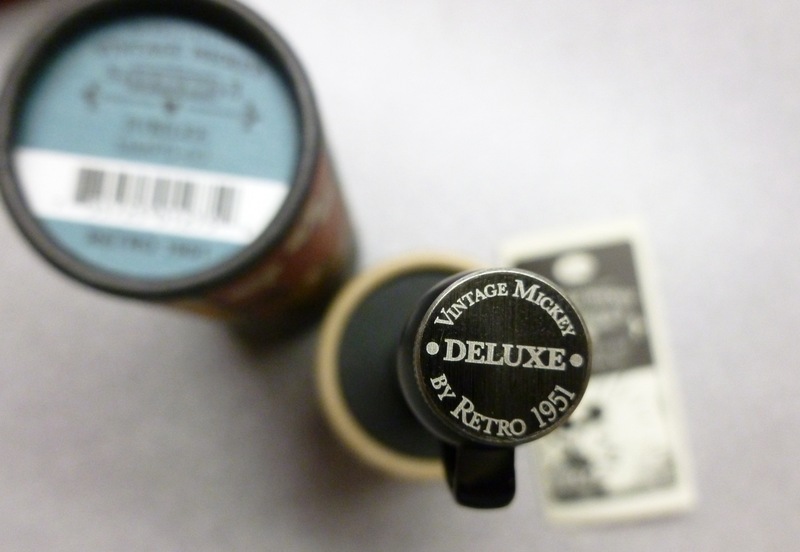 Getting this “Made In the USA” Bexley with its deliciously swirly looks and excellent nib, all at a super price, was the icing on the DC Pen Show cake. Or should I say, the cherry on the caramel sundae? 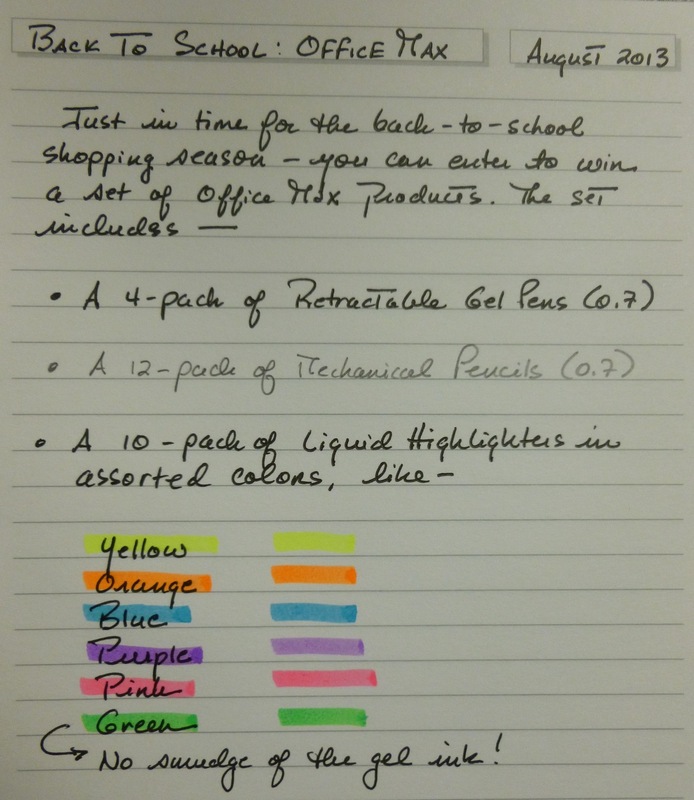 Winner of the OfficeMax Brand Products Giveaway! Apologies! I thought I published this last evening but see that I didn’t! Eek. 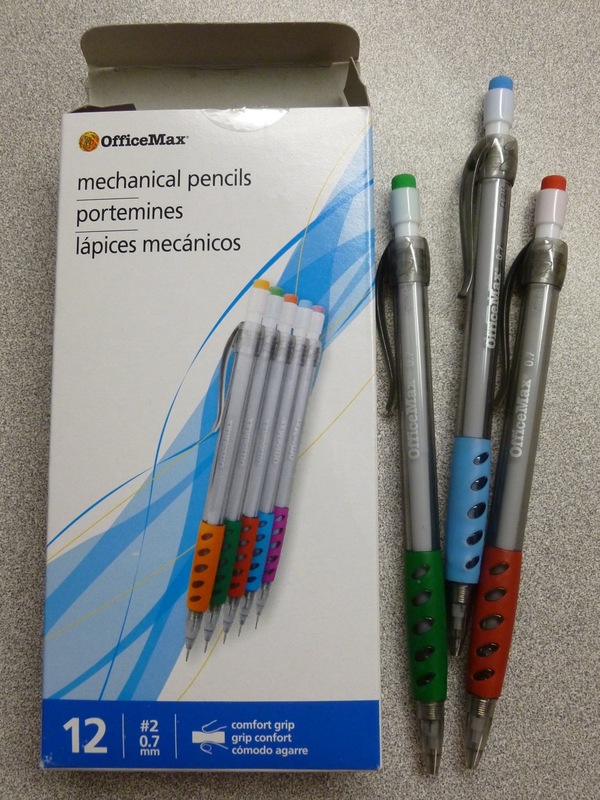 OfficeMax sounds like it’s doing things right with their branded products. I’ll email the winner for their address. If I don’t hear back by Friday, a new winner will be drawn. Returned from my conference with a lot to catch up on and found that my hard drive was dying. GREAT. Pen and paper rarely fail so savagely. Back to the “quill and scroll” for me for the time being, while my computer is nursed back to health. Episodes like this make me wish I had a hard copy of EVERYTHING. Just ink and pens and notebooks and fewer headaches. That’d be the life. I love my technology, but when it fails, it’s a heart-breaker. 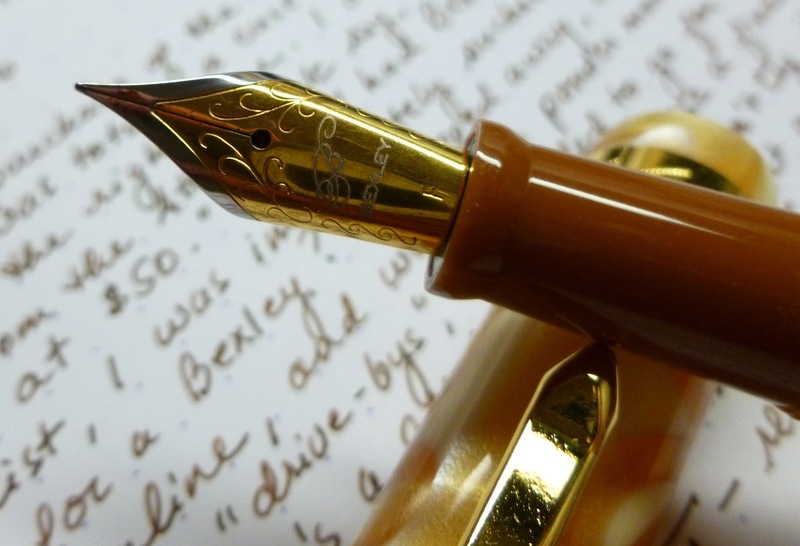 When a pen fails, it can be repaired (often by the user) OR you can pick up another one without breaking the bank. Gearing up for the DC Pen Show!! Cannot wait.